Similar to Anthony Bourdain's The Layover, this page shares what a traveller can do, eat, visit and enjoy within 36hrs in Guangzhou, China. Due to our heavy schedule, my friend and I usually go for weekend trips to unwind and rejuvenate before heading back to work the next day. On this page, we share our 36hrs weekend trip to Guangzhou. We took a 2140hrs flight on a Friday and arrived at 0200hrs to Guangzhou. We took a cab to Fraser Suites Guangzhou in Tianhe District. We rested before starting our trip around Guangzhou. We started our day at Shangxiajiu Pedestrian Street, consisting of Shangjiu Road, Xiajiu Road, and Dishifu Road. It is a nice destination with various affordable goods, unique Guangzhou-style buildings, and delicious Canton snacks and food. While heading for Shangxiajiu Road (上下九路), we alighted at Changshou Lu Station (长寿路站) and exited via Hengbao Plaza (恒宝广场). Hengbao Plaza, located along Bao Hua Road (宝华路), is a shopping mall with interesting retail mix. 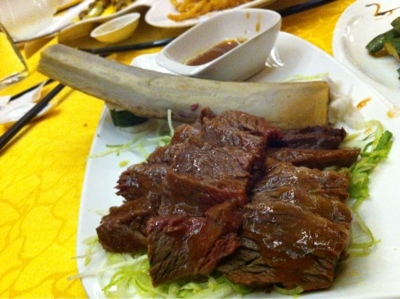 We had our lunch at a restaurant called Man Fu Cheng (满福城), which we thought were the best in the building. Recommended dishes are the Fried Carrot Cake with XO Sauce, etc. Then we explored the Shangxiajiu Pedestrian Street. 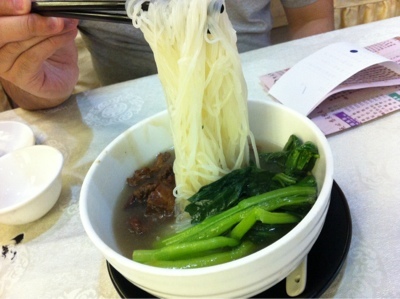 Famous in Guangzhou and Hong Kong, the Double Skin Milk (双皮奶) is renowned for its great taste and nutritious value. 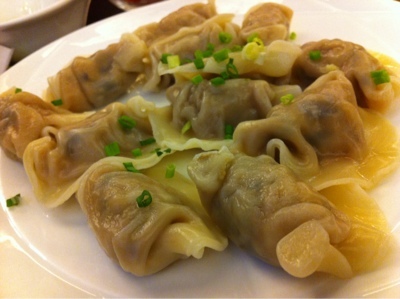 Being a specialty dessert of Guangzhou, it is enjoyed by both young and old. During my quick research on Guangzhou, it was a MUST to try the Double Skin Milk. After walking back and forth along Shang Xia Jiu Road (上下九路), we finally located Nan Xin Double Skin Milk Dessert Shop (南信牛奶甜品专家). Without fail, we ordered two kinds of double skin milk. My personal favourite is the Double Skin Milk with Red Bean. And ended the day at the Canton Tower. We went slow the second day and explored around the vicinity. Never forget to visit the Guangzhou's 7-11, Family Mart to buy their food stuff. If you are waiting to board the plane home and feeling hungry, a nice cosy restaurant - Perch Coffee in the departure terminal serves nice Chinese food that will warm your heart and fill your stomach.